This has been a great car seat for our one year old. She sits rear-facing and we move it between my and my husbandâ€™s car easily. She seems very comfortable in it and the harness straps and head rest slide so easily making it easy to get the perfect fit as she grows. She thinks the cup holder is pretty amazing :) Is buy another one. Great value. ProsEasy to install, easy to tighten/loosen harness straps, cup holder, cover removes for easy cleaning. ConsNot the ?coolest? looking car seat on the market but I obviously don?t care too much about that since we bought one. We bought a second one! This Carseat is great! Super easy to install and super easy to use. Only downside I found is that the pads on the harness comes off very easily. I am planning on sewing it around the harness so that my kid cannot take it off. This is a great seat! It is the second one of this model I have purchased! I want to keep my child in the rear facing position as long as possible and this seat is great for it. Nice that you can remove the cover to wash and is easy to put back on the seat. I bought 3 of these car seats, 2 for my twin grandsons and one for me to have in my car. My daughter specifically requested this model because of its safety rating and value. I have an older model of this car seat and it is very well made, it has held up well to the wear and tear of my 3 year old granddaughter. I have a big 2 year old. He is 35 lbs and usually falls asleep in the car so I wanted a comfortable car seat that would grow with him. Love this car seat he looks very comfortable and doesnâ€™t look like heâ€™s uncomfortable when he falls asleep. The other car seat I had his head would fall forward and it looked like it hurt his neck. ProsSafe, grows with child, comfortable padding, cup holder, machine washable. ConsHad some trouble installing but once I watched a video on YouTube I figured it out. I couldn't be happier with the car seat I purchased. I ordered it one night and the next morning I had a confirmation email and it was shipped out that very day and was received just a few days later. I will be ordering from them again. We love purchasing our car seats from albeebaby. We have four kids and everyone we need a new seat we co e straight here. Never been disappointed. I bought this for my grandbaby... I love the seat.. I actually plan on getting a second one. I like everything about this seat. The fabric is nice and cool, very easy to install, easy in and out with the baby and looks like it will eventually transition well when she can sit in a forward position. Good quality, very comfortable and spacious. My daughter loves it. Best UsesThe head supports is adjustable. Bought to have for granddaughter. Perfect purchase! We already had this carseat for our4year old so we decided to get it again after finding it on sale plus 30% off. The price is reasonable and easy to install. Perfect Carseat for my son! He outgrew his carseat by 10 months because he is so long and this carseat is awesome because it's adjustable to his height. Plus the color matches the interior of my car so thats a plus too. My son enjoys his carseat, especially during long rides and it's much more comfortable than his previous seat. My mom is very impressed with this carseat. The set-up is easy to use and the one handed adjustable straps is fantastic...no more threading them through. It is heavier than expected but it makes the carseat feel safer. Overall, I am happy with the quality of this seat. Bought this for traveling and setting it up on a rental mini van. It was fairly quick to set up via the latch system. Straps for my toddler was easy to adjust. I like the recline feature. The reason I didn't give it a 5 star is that I couldn't really tighten the latch strap. Love this convertible car seat for its ease in use and setup. I'm a grandmother and I keep my grand baby a few days per week. I wanted a car seat easily removed. ConsA little bigger than I would have liked. But, better than most. After a few months of use, the belt you pull up on to tighten the restraints keeps coming off track and getting stuck, therefore I am unable to properly tighten my toddler in the car seat. I am currently in the middle of getting ahold of the company to see what they can do for me. Wonderful car seat that will grow with the child. 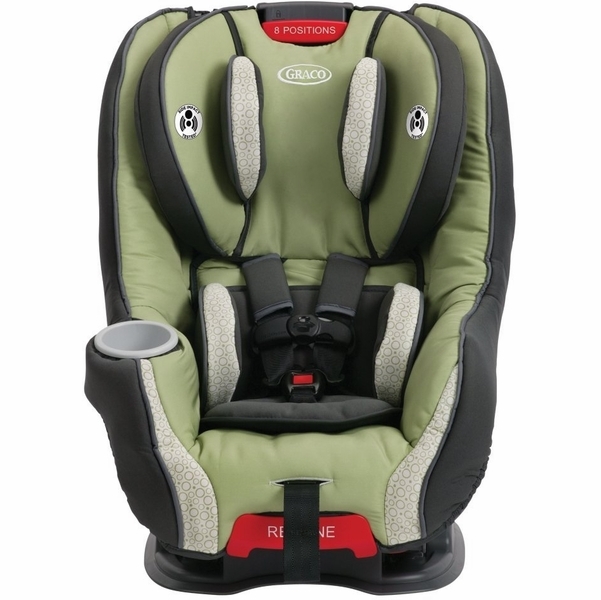 I am very pleased with Graco car seats and am especially pleased that Albee Baby offers it for such a great price.. I love that this is square like the old-school playpens...it makes for a larger area the baby can practice rolling around in and eventually sit up in. This is our Third purchase of the same seat, I purchased it for my niece my sister has two for each of her cars. we love this seat! so easy to install, super comfy, cup holder is reachable even when in reclined position, super easy to remove to wash, and great price! I feel confident that my niece is perfectly safe in the seat! 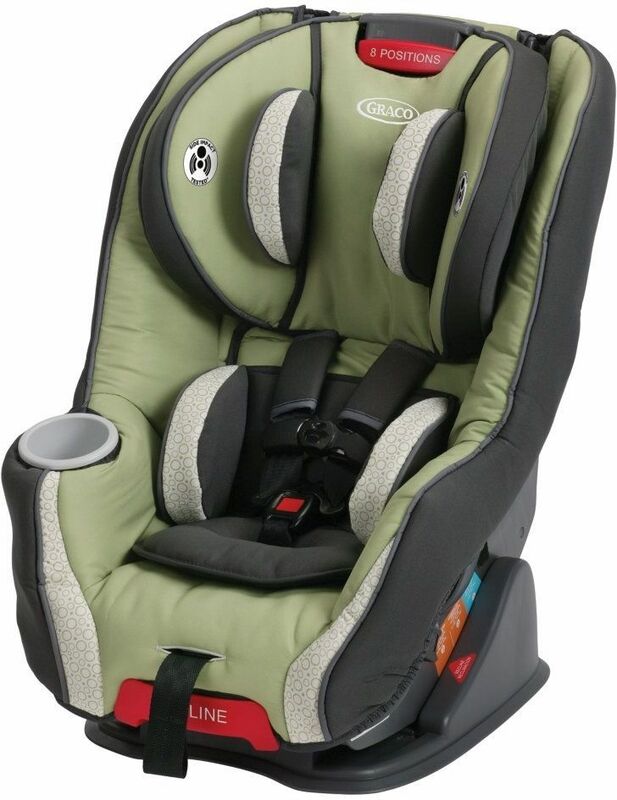 we love Graco, my son has the Nautilus seat and that one has all the same reviews from me. You will never regret buying these products!!! Easy to install. Love the features. Easy to change shoulder strap positions. We have been looking for an old school play pen and I was so glad that we bought this one. My grandson loves it! All the bright colors keep him entertained. Very easy to set up and move around. Perfect for the baby starting to roll around and crawl. 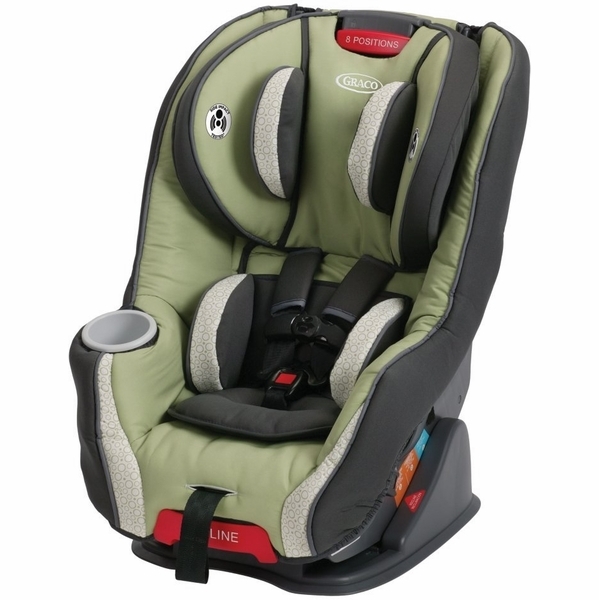 Safe carseat at a great price! I bought this car seat for my 18 month old granddaughter (after much research) to replace her infant car seat. Very pleased with the safety features & ease of installation & cleaning. And granddaughter loves it too! She seems to be much happier in her comfortable big-girl seat with cup holder. It's the perfect size. Easy to use. My grandson sleeps very comfortable in it. I would recommend this product to everyone! My grandparents bought this seat for my daughter for her 1st birthday. She is now 21 months old and still happily rear-facing. She loves her seat. Easy to install, comfy, and will last her for a long time! I have not had any issues getting the straps tightened like others have stated. I recommend this for everyone. It has tons of safety features. If I saw this seat when my son was born I would have bought it first. Highly recommend the seat. Bought two of these car seats for our 7 month old and wet love them! Looking forward to doing business in the future! I have 18 months son, who always sleeps whenever he is in his car seat. I was looking one in which head does n't move much, this one worked best for me. removable pillow give him a support when he is sleeping .. and I can change it to second position to give him more comfort. We bought 2 of these so we have one in each car. They are sturdy, easy to install and comfortable for our son. My only complaint is that the straps can be hard to tighten at firsts. But, if you pull the tightener strap straight up (instead of towards you), it works well. And over time, it's not as hard to pull. The seat isn't super compact, so it works well in our cars with two seats (this one and an infant carrier). I don't think it'd fit 3-across, though. The reason I bought the car seat was because I feel that it is the safest car seat out on the market! I found this car seat for my granddaughter for my house and then I told my daughter about it and she went and purchased one for her daughter and my youngest son bought one for his daughter and then when my oldest was expecting his little boy I had him go purchase one. I told my children that you can't put a price on the safety of your child. Now my daughter is expecting her second daughter and we are purchasing the car new model car seat for each of us to have in our cars. Bought this seat for my 2 year old and love everything about it. Love the rapid remove cover. Love that the seat is comfortable and allows my son the take a nap with out his beak hurting. Installation was easy to understand. Easy to adjust for growing, shoulder straps slide up with headrest so no rethreading. Nice padding and safety features, cup holder can't fall off. Not horribly wide, but not much space from front seat in large SUV when rear facing. Glad I chose it. I bought this ahead of time and used a Graco infant seat for the first 6 months. I was worried that she was not going to like switching from the infant seat to this but she loves it! My little one is actually happier in the car in this seat than she was in her other seat! It's super cushy and is very well made! I am crazy about keeping things clean and with kids being kids I needed something I could take apart easily to wash. I was worried it would be difficult to take the cover off with the adjustable positioner but it was easy! It is even cuter in person! I wish this had been available with my older daughter. If you buy this car seat you will not be sorry! I purchased mine off Amazon.com. My father bought this for my twin girls and I love it. It has plenty of room for both babies to have their own area to play and lay down. It is also easy to set up and take down. My daughter is not very tall is the 95% in weight for her age and this gives her all the comfort with the head rest being lower and bottom insert being removed while leaving in the top insert. She loves it and is no longer miserable in long car rides rear facing. We did upgrade to a larger mirror that fits against the seat because she was able to kick it down and we couldn't see her then. Our son just outgrew his Graco infant carrier just in time for our 2nd baby to use, and we needed something that he could stay rear facing for a while! 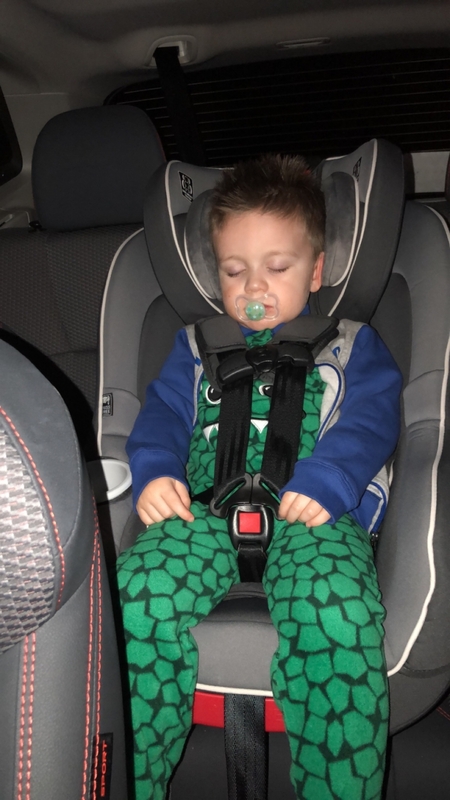 This car seat is very good quality, easy to install, doesn't take up too much space, and our son loves it for the comfort! He seems so much safer and more secure than other car seats we have seen. Also very easy to clean! Easy to install - great value! We bought this car seat for our daughter and couldn't be more happy with this purchase. It was easy to install using the latch system. We also enjoyed the fact that adjusting the harness can be done easily by pulling on the handle. The rapid remove car seat cover will allow for ease of cleaning it. This playard met all our expectations. It's colorful and a good size. Easy to open and close. It's a great seat, and our 6 week old fits perfectly. However, after a massive diaper blowout, we had to take the whole thing apart to be cleaned. It is IMPOSSIBLE to get the straps back in the right way. I've been working on it for an hour this morning. 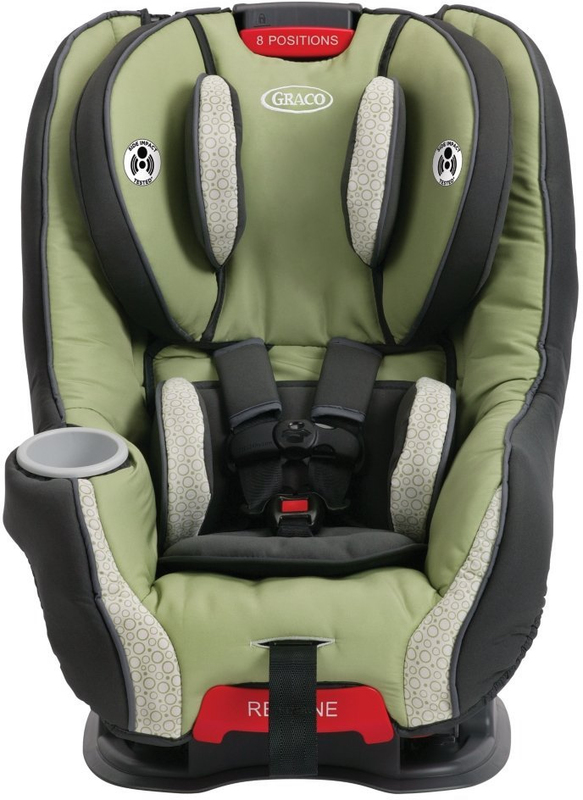 The Size4Me™ 65 convertible car seat holds a rear-facing infant from 4-40 lbs. and forward-facing child in its 5-point harness from 20-65 lbs. 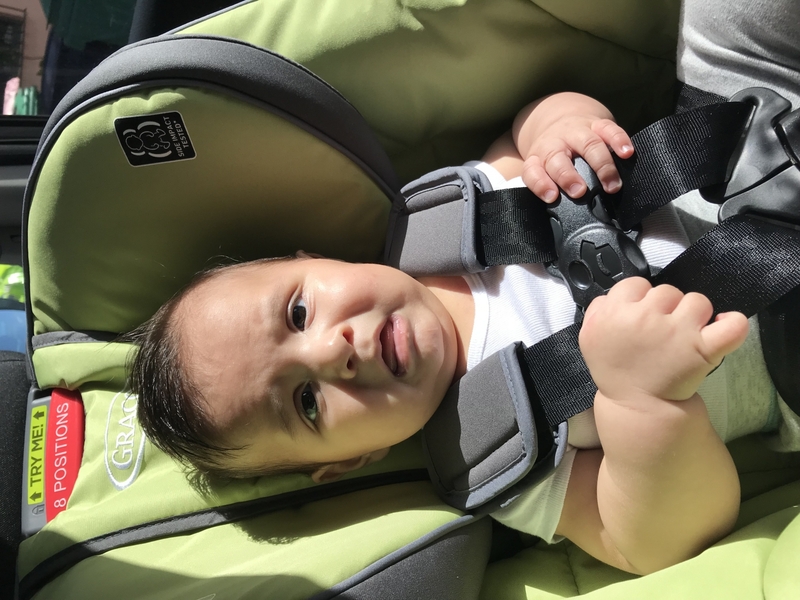 It easily grows with your child with the Simply Safe Adjust™ harness system, which automatically adjust both your harness and head rest height. This car seat also offers our exclusive InRight™ LATCH system for one-second LATCH attachment. Size4Me™ 65 features EPS foam, a removable head/body support, three recline and two buckle positions to keep your child snug and secure. This seat is Safe Seat Engineered which includes Side Impact Testing. Seat cushion is removable for machine washing. Machine-washable seat cushion Metal and plastic parts may be cleaned with mild soap and water. Buckle may be cleaned with a damp cloth Harness straps may be spot cleaned.